2. It adopt international new smart 6 segments segments articular arm, the exclusive manufacturer of using this technology in China. 3. High quality of pure green light, offers perfect performance. 4. 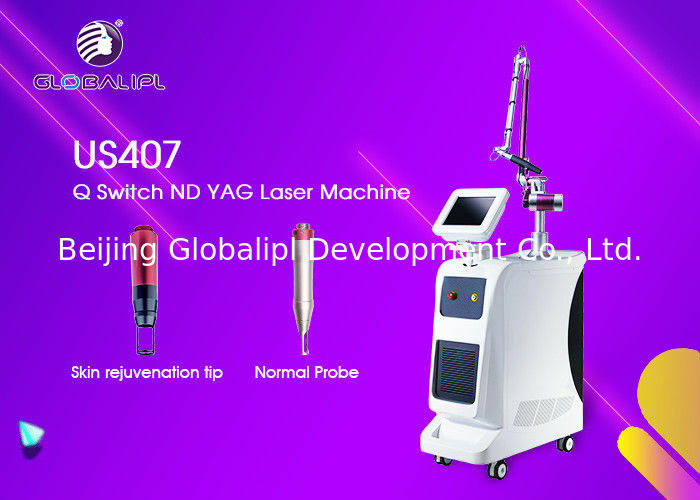 Main elements such as Q Switch and polarizer are imported from international famous company, and advanced technology of laser cavity is used to produce excellent light spot modes, even light intensity, no highlighted point. 5. Imported light route from South Korea, ensure energy stabilization. 6. Imported water pump, no noise and larger water flow for better cooling, prolong laser life. 1.Electro-optic Q-switch ND yag laser, releases actual single pulse of laser energy. Really achieve to painless treatment and micro-injury to skin, long-term lasting treatment result. 5. Alarm protection system of water flow and water temperature: protect people and machine against any risk at the first time. We took part in world-renowned exhibitions each year, such as hold in Moscow, Japan, Italy, Germany, Dubai, Hong Kong etc….Newtest picture share with you.